There is more to the Milton Model than just ‘the Meta Model stood on its head’. Bandler and Grinder also modelled other language patterns from Milton Erickson, as well as particular ways of speaking that enabled him to communicate with his client’s unconscious mind at a deep level, at the same time as the surface of his conversation was occupying their conscious mind. If you think that would be a useful thing to be able to do, then keep reading. This next set of patterns we can broadly describe as ‘pacing’. 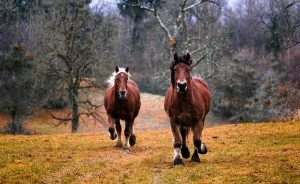 And you’ll remember from your study of rapport that pacing is going along with or matching a person’s current experience, to help them to feel comfortable and relax into a rhythm with you, and that can be a preliminary to then leading them somewhere that you want them to go. This is simply describing the person’s experience in a way which is undeniable, so they have to agree with it. The effect of this is relaxing – the part of a person’s mind that scans their environment for trouble, or in a business setting, for things to mismatch and disagree with, is lulled to some extent by a sequence of three or four pacing statements. So that’s a series of statements which must be true for the listener (assuming they’ve read the previous Milton Model articles), followed by a mild suggestion. “You’re reading this article…” – self-evidently true. If they weren’t reading the article, they wouldn’t be aware of that statement. “You’ve come quite a way already” – (Reader: Actually, yes I have). “We’re now deep into the Milton Model” – (Reader: Yes we are). With the next statement – “you’re already aware of how you could use certain patterns in practice…” – I’m actually departing from truisms and throwing in a bit of a suggestion. It’s theoretically possible that someone could have been reading all this and not have thought of any ways to use the patterns in practice, but I’m willing to take that chance to nudge them in that direction. In any case, I know that you’re smarter than that – because in most cases the effect will have been to draw your conscious attention to various ideas about using the Milton Model patterns that have been percolating away at the back of your mind. We’re definitely sitting here, and yes, we’re in a meeting. The next statement is a sort of self-fulfilling truism – they may not have been aware of how time is getting on, but they become aware of it as soon as you mention that they are aware of it. And the last bit – “we all want to reach a decision that works for everyone” – is another sly suggestion. They may not all have been wanting to reach a decision that works for everyone, but tagging the suggestion onto the end of all that pacing will help to lead them in that direction. Notice how in the first example, we linked the statements with ‘and’. In the NLP jargon this is called a ‘simple conjunction’ – all that means is that it joins the statements together and makes the whole thing flow more smoothly. If you didn’t use the ‘and’, the listener could just take them as a series of unrelated statements. The effect of the ‘and’ is to link them – it puts each statement next to the others in the listener’s internal representation. Disagreeing with one of the statements would feel like rejecting all of the others as well, so ince they agree with most of the statements, the listener’s mind is more likely to let a mild suggestion pass without flagging up resistance. The next pattern, Utilisation, is just using whatever happens, or whatever the other person says – even if it’s an objection, in a sales situation – to link to your suggestions and strengthen the points that you’re making. The way Erickson used to use it was to utilise whatever random things happened as a means to deepen his client’s trance – even things that one would normally find distracting. So if there were people talking in the corridor outside his office, he could say to the client “any noises you might hear outside can just remind you how quiet it is inside”. And I used that a lot when I was a hypnotherapist, or just when talking groups of people through a relaxation technique. It was great because you could get people to relax even through the environment wasn’t completely silent. Or the client might say “I don’t think I’m in a trance yet” and he would turn that into evidence that they were, by saying “That’s right, you don’t… think… you’re in a trance… because you’re evaluating trance with your conscious mind and it’s… you’re unconscious… mind which knows how to go into trance now…” (I learned of this example from Tad James,as far as I recall). We could spend a long time just unpacking all the different patterns in that statement, but this isn’t a hypnosis article. For now, let’s just notice how Erickson takes whatever the client says and instead of disagreeing, runs with it in the direction he wanted to go anyway. When he says “you don’t…think… you’re in a trance”, on one level he’s pacing their statement – he’s using their exact same words – and, with a subtle emphasis on ‘think’, he’s also introducing a slightly different meaning: ‘think’ in the sense of ‘that’s what you think is happening, but actually you haven’t noticed yet that there’s something else going on’. You could use exactly the same format to divert or overcome objections in a business context. If you are aiming to get your company to bring in a new system, and the objection is raised that “We’re not ready for it”, you could say “I agree – we’re not ready” implying that the competition are (and so we need to do something urgently). Truisms are generalisations which are undeniable – statements so obvious or self-evident as to hardly be worth mentioning – except of course that we use truisms all the time in regular conversation to set up the background for what we are going to say next, so it doesn’t seem strange to your listener when you use them. 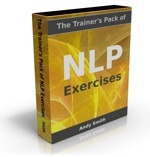 There is lots more about NLP language patterns and many other useful aspects of NLP in the Practical NLP Box Set Volumes 1-4. If you just want to focus specifically on NLP language patterns, you could just buy Practical NLP 2: Language.